Manolo Gabbiadini's double helped Southampton come from behind twice to draw 2-2 with Newcastle United at St Mary's Stadium. Isaac Hayden wrong-footed Fraser Forster with a strike from the edge of the penalty area to put the Magpies 1-0 up at half-time. And moments after Gabbiadini scored a fine equaliser after Nathan Redmond's long ball, Ayoze Perez beat Forster at his near post to put Newcastle 2-1 up in a frantic few minutes after the break. 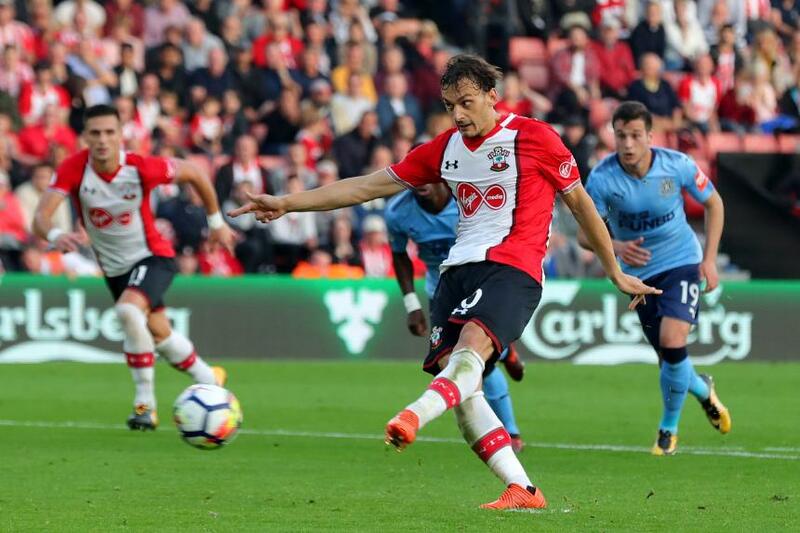 But Gabbiadini moved Saints up to 10th in the table with the second leveller from the penalty spot, after Florian Lejeune tripped Shane Long. Newcastle are two points and a place above Southampton after Sunday's match.